It’s a common question among those considering a reverse mortgage, especially in the Loveland and Fort Collins area – “I’m married. 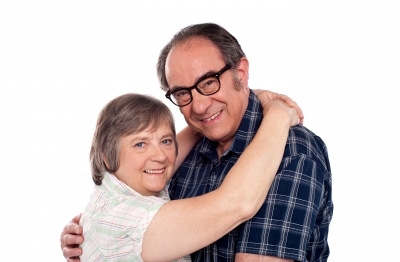 What about my spouse?” If you and your spouse are considering obtaining a reverse mortgage, it’s important to understand the long term effect it could have on either spouse and feel confident any and all appropriate protections are in place. When applying for a reverse mortgage, whether for traditional loan or to purchase a new home, the amount of money you can receive is calculated according to the age of the youngest borrower. The older the borrower, the more money is available from the lender. Since reverse mortgages are available to homeowners aged 62 and over (with minimal income or credit requirements) if both spouses are over the age of 62, both homeowners can be on a reverse mortgage loan. If both spouses are on the loan, the loan continues after either passes away. If only one spouse is on the reverse mortgage loan when the borrower passes, the loan is due and the home will transfer to the estate. At this time the heirs will have the option to pay off the existing loan, sell the home, or obtain a conventional loan. Occasionally this is not a concern if the amount of life insurance is anticipated to be enough to pay off the loan after the borrower dies or another plan has been put in place. Another scenario to consider is if a borrower obtains a reverse mortgage and then remarries. If this was to happen after the age of 62 or even older, it wouldn’t be unheard of for the married couple to live in the home for 20 or more years before the borrower passes. At this time the new spouse would not be protected under the existing reverse mortgage loan and the loan would be due. 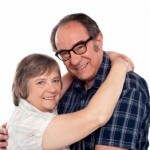 You could consider looking into refinancing the reverse mortgage and adding the new spouse to the loan after marriage. And yet one more thing to note is the possibility one spouse needs to move out of the home into an assisted living facility due to health concerns. If this happens, as long as the spouse remaining in the home is on the loan, they can continue under their current reverse mortgage. Bottom line: If you are married and are considering obtaining a reverse mortgage, it is extremely important to work with a trusted and experienced reverse mortgage specialist who can easily answer all of your questions and address any concerns you may have. Making sure both spouses are protected should be a lender’s top priority.